IPTV Box Pirate Jailed For Four Years In The UK. Why? 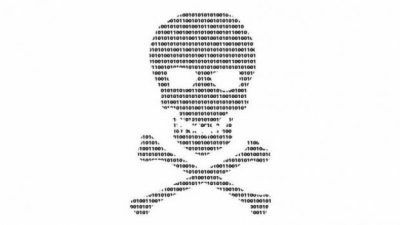 Pirates all around the world are getting whacked by law enforcement agencies. Nobody can say they weren’t warned before. 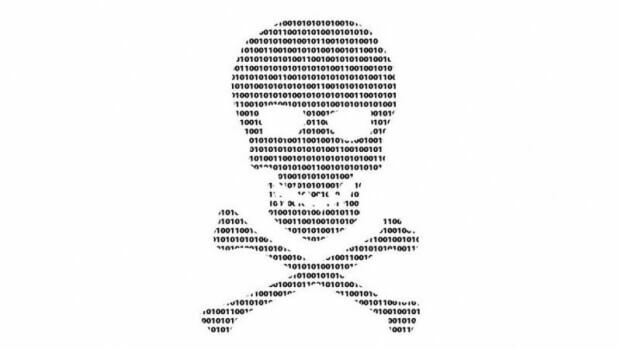 The United Kingdom previously threatened to bring harsh punishments for people who engaged in online piracy through a reformed Economy Bill. But since some folks have got to learn the hard way, one pirate who supplied IPTV boxes in the United Kingdom (to people who obviously wanted the devices through their own free will) has now been jailed by the British government for four years. That still isn’t half the time that is being proposed in the new Economy bill but that’s a debate for another day. 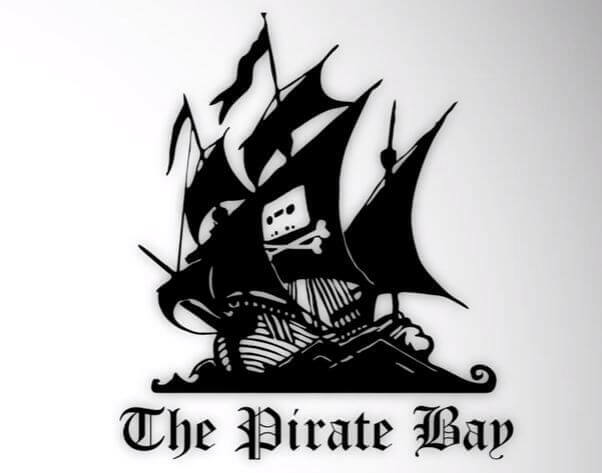 The man, or rather the pirate, in question supplied equipment which enabled its users to download and stream all sorts of copyrighted content on the internet without paying a single dime. More specifically, the pirate sold piracy-ready internet-enabled set-top boxes at various public spots in the United Kingdom. We’re talking about spots such as pubs and other consumer groups (not to mention individual consumers) where people like to watch premium stuff (sometimes from the comfort of their home) without paying a single dollar, or a British pound, to the producers of that original content who probably spent years away from their family working on a project which they thought would put food on the table and a roof over their family’s head. But all that isn’t something we need to bother ourselves with. The pirate has received a four-year jail sentence and it was all made possible by a brilliant prosecution, brought into existence thanks to The Premier League and sustained by the Federation Against Copyright Theft. Moreover, this particular pirate’s prosecution also lead to another man (pirate?) being handed a two-year suspended sentence by the court. The four-year jail sentence will certainly come as a surprise to many but a man trying to download and then distribute (and make money while doing so) copyrighted content on the internet without any regulation whatsoever will not shock the millions of people who already do that and stay off the radar by using services such as Tor and VPN. 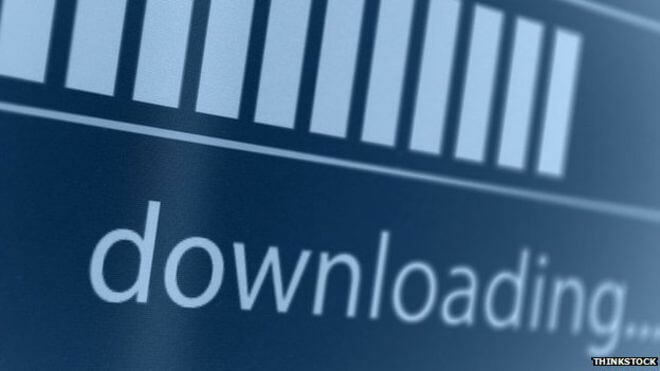 In fact, there are probably millions and millions of people on the internet who find it hard to not download copyrighted content such as movies, TV series, documentaries, music, sports films along with cartoons and books, without paying any money or some form of compensation to the makers of that copyrighted content. What’s more, most of these millions and millions people are doing all that stuff (which sometimes can be illegal depending on the content you’re downloading. However, if you’re just torrenting to download the latest iso image of a Linux distribution then you’re probably fine) from the comforts of their couch. Nowhere to run and nowhere to hide. Unless you live outside the UK. That, as you can well imagine, has not gone down well with the big studios, law enforcement agencies, and other anti-piracy groups. Most of the online users, now, stream their content through the internet without any blu ray or a DVD player. Amazon’s Fire TV is probably a top of the line product in its category but there are other options as well such as the various Android and Linux devices. All of these devices can and do play legitimate content from the original suppliers with no copyright issues pretty well. But as with all things in life, these linux and Android devices have a darker side. This darker side allows users to cheat. And whenever there is an opportunity to cheat and there is no oversight to guard against that, we can tell from our experience that over ninety percent of the humans would cheat. That is exactly what most users do when they feel safe in downloading copyrighted content from the internet without paying a fee to the producers of that copyrighted content. The other problem is that, it is quite easy to play copyrighted stuff without paying for it. Any average user can learn the right stuff and tweak any streaming device. With a bit of practice and guidance, users can turn these cheap pieces of technology into the end-all ultimate media streaming and playing device. In other words, with the right know-how, anyone can crack up open any streaming device and enter the vast, almost infinite, world of online pirate streaming. In fact, this technique of consuming copyrighted content has become so popular that now we have dedicated websites whose only purpose for existence is to take copyrighted material from whatever source they can find and then upload that copyrighted content on their website for people to visit and watch without paying a single dime. Of course, all of this is done undercover since streaming copyrighted content for free, or even for a free, without prior approval from the producers of that copyrighted content is mandatory. Nevertheless, since there is no oversight, everybody has a free reign over copyrighted content and that has resulted in a humongous black market, or sorts, of copyrighted content suppliers that have popped up in every corner of the globe. When we say every corner of the globe, we do mean every corner of the globe. It doesn’t matter if you’re in Pakistan, Bolivia, Venezuela or Somalia, you can buy one of these cheap devices from the crappiest of electronic shops and stream the best content humanity has to offer, for free, without any limit, from the comfort of your home. Essentially, there are two ways people can pirate stuff without getting caught. Most of the times that is. The first method involves downloading a legal media player such as Kodi media player and then installing third-party add-ons on the Kodi media player. The second method which is a bit simpler and cheaper, but illegal, is to purchase one of the professional IPTV services to stream content that is copyrighted through either the Kodi media player or any other Linux-powered mobile or desktop devices. But since we’re telling you all this like it is really simple and probably a twelve-year-old could do it, if he/she wanted to, it doesn’t take a genius to guess that law enforcement agencies are in on act already. Artem’s in jail and now O’Reilly and O’Leary are in jail. Seems like every pirate is going to jail these days. In fact, law enforcement agencies have picked up the pace of tracking down these illegal services and shutting them down over the last couple of years. The UK’s Police Intellectual Property Crime Unit (PIPCU) has been trying to halt the activities of individuals who have been selling the kind of devices that allow users to stream copyrighted content right from a small box. Sellers who have been selling these type of devices and online services have, mostly, gone under the radar of law enforcement agencies. Not anymore. Because even though the first conviction involving a criminal who sells IPTV boxes and other such devices has taken a while, the UK’s Police Intellectual Property Crime Unit have managed to arrest two of the men who have been found guilty of selling devices that encourage users to engage in piracy. There is little doubt about the fact that the two arrests made by UK’s Police Intellectual Property Crime Unit will send a strong and stern message to all the pirates out there who offer and then sell (at a good margin) these type of devices with the pure intention of making money. Law enforcement agencies call it, a commercial intent, we simply call it greediness. Who exactly was caught and why? We are full aware of the fact that some users may not know the whole story so we’ll give you the small details below. Read on. The two men in question, or rather in prison now, are known by the names of O’Leary and O’Reilly. The case against these two gentlemn was brought by the authorities and heard at Nottingham Crown Court. Both of these pirates were held accountable for Conspiracy to Defraud. A FACT spokesperson, in an interview with TorrentFreak two days ago, verified that the two men were not only involved in supplying the required hardware and the software but, in an effort to expand their growing empire, also provided services such as unauthorized streams of copyrighted content. O’Reilly, as of now, is a 53-year-old man from Liverpool, United Kingdom. He was accused of selling a huge number of devices that allowed users to stream paid content. It is estimated that he sold about 1200 of these devices. As expected, the court found O’Reilly guilty of, not one, but charges. Both came under the heading of Conspiracy to Defraud and hence O’Reilly was sentenced to four years in prison, where he’ll have plenty of time to think about the life choices he made in the past that lead him to this disastrous situation. O’Leary, on the other hand, is the slightly younger of the two at 43. He hails from Coddington, Nottinghamshire. 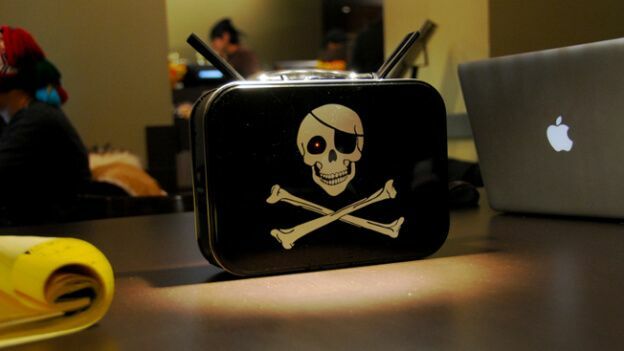 He has been branded as a reseller, rather than the outright seller, of a large number of piracy-ready devices. It is estimated that O’Leary sold about 300 of these devices. While that number may not be as big as O’Reilly’s but it is still enough to be considered a pirate and a criminal (and go to jail as well). If you’re wondering what’s the difference between a seller and a reseller, then you really need to read the next two to three lines rather carefully. A reseller is basically a seller, the difference though, is that a reseller buys premium access to an already existing and available online service and then offer his/her own list of users the same online service or product with the help of a simple rebranding process that allows the reseller to make a lot of profit in the form of commissions without doing much work at all. Should people with no commercial intent be punished as well? Perhaps it should come as no surprise that O’Lready was found guilty of one charge of Conspiracy to Defraud since he wasn’t the instigator of pirate activities and was rather a middle man. He was handed a two-year sentence and suspend for a period of one year. Kevin Plumb, who is the Premier League Director of Legal Services, said in a recent interview that this case was particularly important to all the parties involved as it was the first of its kind which involved sellers of so-called IPTV devices which enabled people to watch illegal content from their homes without paying a single penny to the actual producers of that illegal content. He also said that the courts had provided a clear message that this was against the law and selling systems which allowed people to watch unauthorized Premier League broadcasts was a form of mass piracy and was sufficiently serious to warrant a custodial sentence. Kieron Sharp, who is currently the Director General of FACT (FACT is the UK’s leading intellectual property (IP) protection organisation), also voiced his opinion on the case and supported the view that the case was indeed significant because it had the potential of acting as a warning sign to people, organizations or just average individuals who sold such devices, that law enforcement agencies were, eventually, going to catch them. Sharp stated that the sale and distribution of these boxes which were loaded with infringing apps and add-ons allowing access to copyrighted content, was a criminal offense and the repercussions could result in years behind bars. A report published in the media by IP Crime back in September, it was revealed how the sale of IPTV and altered Kodi packages were starting to become a significant threat to the work of artists and producers. Fast forward to now (or rather yesterday strictly speaking), FACT noted that the organization had now put individuals and organizations that engaged in pirate activities on the top of its priority list and the cyber criminals would be tackled with quickly in due time. FACT told reporters that in the last year FCE had worked with a wide range of partners and law enforcement bodies to tackle individuals and disrupt these illegal businesses that solid illegal IPTV Boxes. It further added that law enforcement action had become widespread across the United Kingdom with numerous ongoing investigations. The Premier League, which had been at the receiving end of losing a lot of revenue because of the number of people watching Premier League broadcast’s through illegal means, said that there was little doubt for consumers that these systems were illegal. The organization also stated that after the arrest of O’Reilly and O’Leary, there should be no confusion in the minds of the average internet user that streaming content online or through illegal devices as a punishable offense. With that said, no one really knows if using such devices for the purpose of streaming copyrighted content for free from online sources but without the intention of making a profit or offering a commercial service, would constitute a crime or not. How to Stay Anonymous Online Using Tor? Are You A Pirate? This Is How US Government Will Destroy You. Is this a fake news site? No one should go to jail for watching online content. They should be “re-educated”.